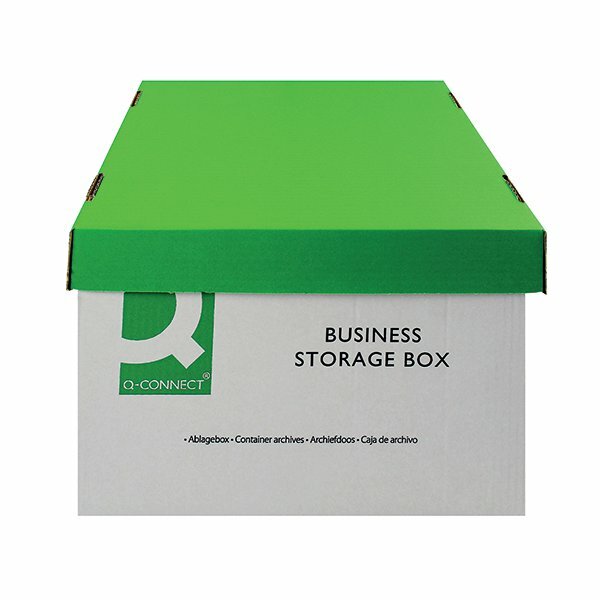 This durable Q-Connect storage box features a heavyweight, double walled corrugated construction, which is ideal for long term storage and archiving. The storage box comes with a lift off lid and can hold 3 Q-Connect business magazine files or 3 Q-Connect business transfer cases. This pack contains 10 green and white storage boxes measuring W327 x D387 x H250mm (internal). peter sherlock | cheap and cheerful!